You'll find the reviews translated to English below in this post. Swedish readers, click on the scans to enlarge or read at the newspapers' websites. 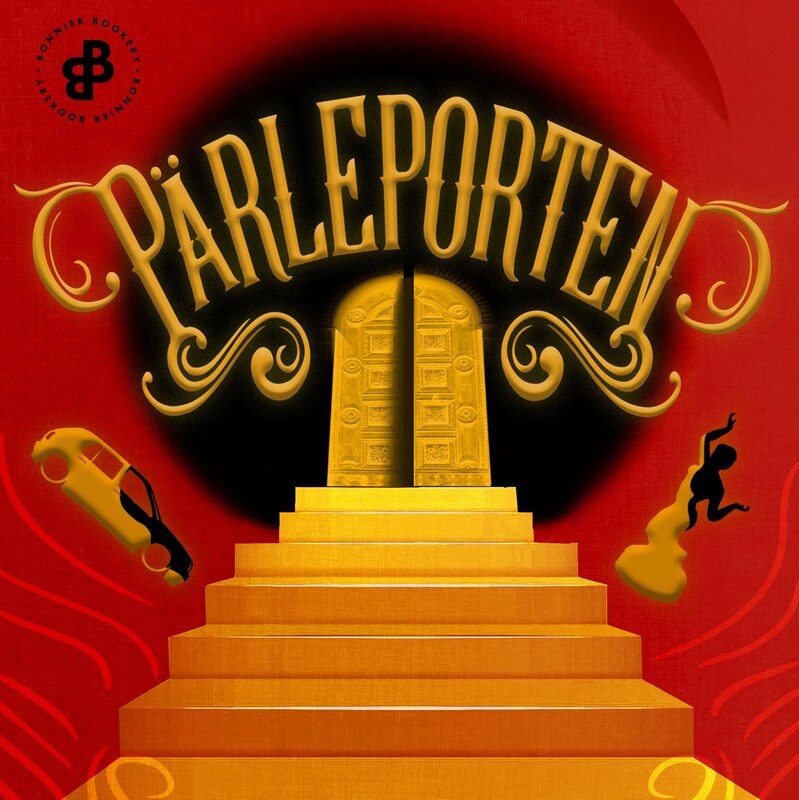 Här har jag översatt recensionerna till engelska. Ni som läser svenska kan klicka på de inscannade artiklarna för att förstora eller läsa på tidningarnas hemsidor. Already at age 11, Maria-Thérèse Andersson started to practise photography at school. First analogue, then digital. Her next step was to print out images on paper, paint on them and scan them back in. This results in a multi-layered motif with a life of its own, turning into something completely new. She has had a solo exhibition in Stockholm in 2010 and her images were purchased to decorate the set of thriller The Roommate (2011) with Gossip Girl actress Leighton Meester. 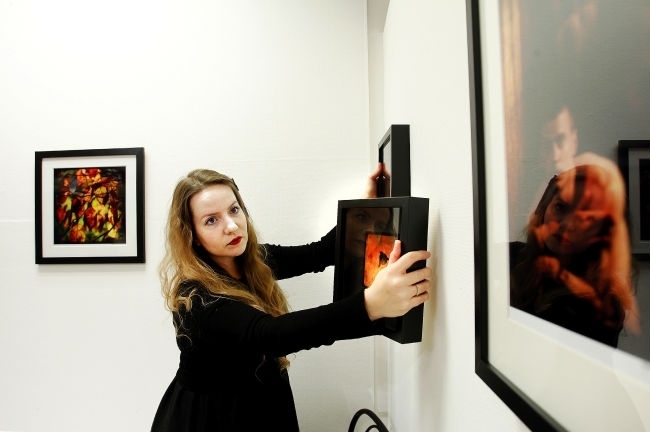 Maria-Thérèse Andersson has created the images for her exhibition titled Glow during the course of the past two years. The latest image was finished last night. What may, from a distance, appear as a regular photograph turns out to contain much more as one approaches the image, step by step. The mixed technique accentuates the objects, sometimes making them appear to be floating. What is pure is further purified since the surface has become rough where acrylic paints or watercolours have been painted. Or it becomes transparent. What, then, does glow mean to Maria-Thérèse Andersson? Of course, the colours of autumn leaves and flowers, but it may also be birds flying across Paris, a wandering cat or various circus environments. There is also a dancer casting a shadow on a worn wall, whispering about resurrection. That image was created for dance company Norrdans and their performances of Schakt and Feeding Monsters (2011). Maria-Thérèse Andersson works mostly according to colour and shape. The image of a lone bird, frozen in its flight, is placed on a painted, pale, yellow background resembling a da Vinci painting. There is a sense of timelessness and mystery to the piece. An old facade with a sign that says Le Cancan is interesting in itself, but is given a completely different meaning and emotion by the different layers of red. This is neither static nor a covered surface. It looks more as if the facade is filtered through sheer, red rose petals. It seems like a memory, remembering something dear. One of the images is black and white. You look down inside the half-opened or open tulip flowers. Their magnificent colours cannot be seen but they still trumpet a nuance-rich palette of their power to grow, in a secretive fashion. It is not Maria-Thérèse Andersson's thing to shout out her message – neither is it something that she has to do. Artist Maria-Thérèse Andersson has to find passion in what she does. 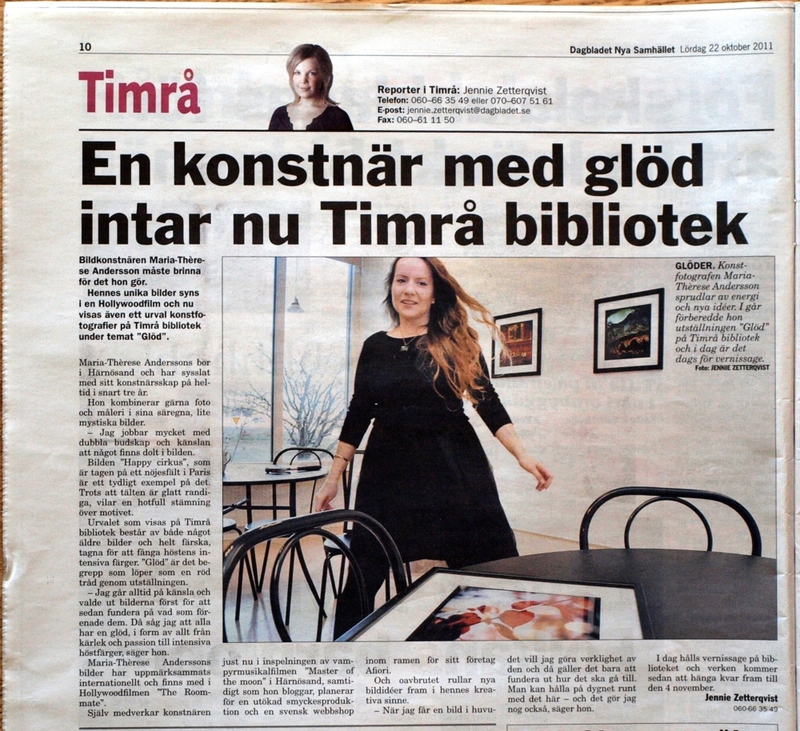 Her unique images can be seen in a Hollywood movie, and now, a selection of her art photographs are exhibited in the Timrå library with the theme Glow. Maria-Thérèse Andersson lives in Härnösand and has worked full-time as an artist for almost three years. She likes to combine photography and painting in her peculiar, somewhat mysterious images. - I work a lot with doubleness and the sense that there is something hidden in the image. This can be seen in the image ”Happy Circus”, for instance, which was taken at an amusement park in Paris. In spite of the happy, colourful stripes of the tents, a sense of imminent threat rests upon the motif. The selection of images exhibited in Timrå consists of slightly older images as well as completely new ones, taken to capture the intense colours of fall. Glow is the theme which runs through the exhibition like a red thread. - I always trust my emotion and chose the images first, then thought about what united them. That's when I saw that they all share some kind of glow, be it love or passion or saturated autumn colours. Maria-Thérèse Andersson's images have been internationally noted and can be seen in Hollywood movie The Roommate. 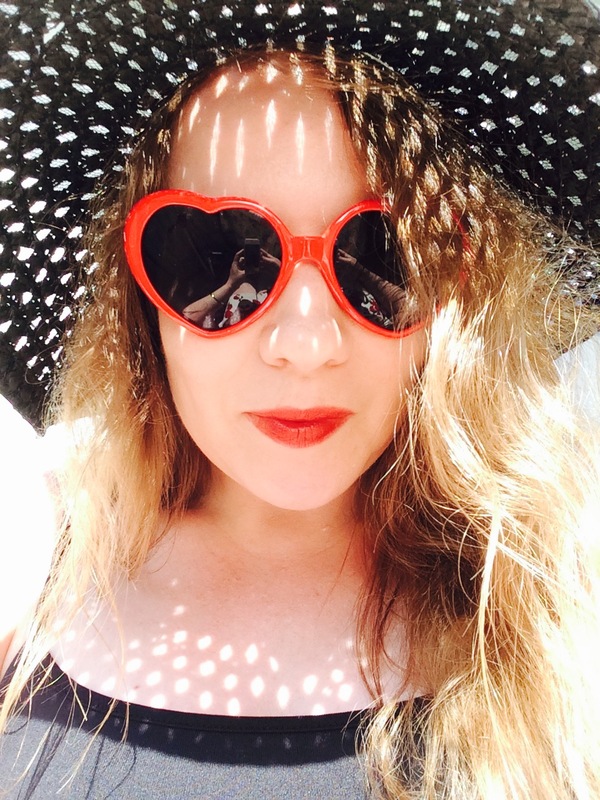 The artist herself is right now part of vampire musical movie Master of the Moon which is being filmed in Härnösand, and at the same time she blogs, plans to increase her jewellery production and also to create a Swedish webshop within her business Afiori. And new ideas continuously roll through her creative mind. - When I get an image in my head I want to make it come to life and then I just have to think about how I should go about doing so. You can do this 24 hours a day – which is probably what I do, she says. 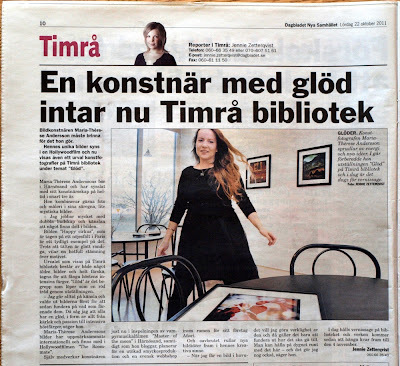 Today her exhibition opens at Timrå library and her works will be displayed until November 4.